The Ohio Gun Collectors Association Show is one of the largest gun shows in Ohio. There will be a wide variety of dealers offering a range of products and services. Visit us and ask about our no fee, no obligation restoration quote. The Forks of the Delaware Historical Arms Society puts on 14 different shows every year. This show is one of a handful of shows they run in the fall. ****Member's Only Show**** The Ohio Gun Collectors Association Show is one of the largest gun shows in Ohio. There will be a wide variety of dealers offering a range of products and services. Visit us to see all our latest offerings. We’re happy to bring your restoration projects with us back to the shop for a no-cost no-obligation restoration quote. Hope to see you there! The 2019 Dallas Safari Club Convention & Sporting Expo will take place on January 17-20, 2019 at the Kay Bailey Hutchison Convention Center in Dallas, TX. The SHOT Show is industry's largest dedicated exhibit for shooting sports, hunting and outdoor accessories. The SHOT Show is your best opportunity to browse manufacturers’ full product lines in addition to their latest tech and product releases. Talk to suppliers about your business, your customers and your needs and walk away with the knowledge to drive sales for your business. 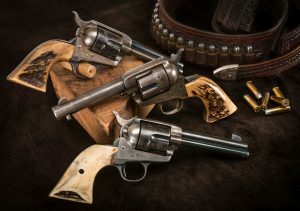 AntiqueArmsShow.com represents the nation's leading antique firearms, curios and relics dealers. Participating dealers must meet show requirements and are individually qualified. The Forks of the Delaware Historical Arms Society is a non-profit organization that exists to foster the appreciation for the history of arms and to defend the right to own firearms. Members and their guests enjoy fellowship among like-minded individuals through the collection, exchange, and study of antique arms. The Dakota Territory Gun Collectors Association (DTGCA) hosts fourteen gunshows throughout North and South Dakota. Shows are organized to promote the Second Amendment freedoms for firearms collectors, firearms dealers, hunters, and other firearms enthusiasts. All proceeds are donated to local charities that are firearms related within the Dakotas. 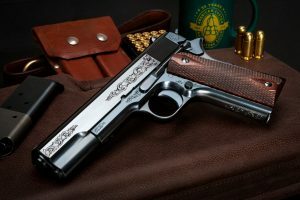 Since 1937, the Ohio Gun Collectors Association is a not-for-profit corporation that promotes friendship for those interested in the collection, possession, and use of arms by responsible persons. Wanenmacher's Tulsa Arms Show, sponsored by the Tulsa Arms Collectors Association, is the world's largest selection of antique, collector and modern firearms, knives and accessories.